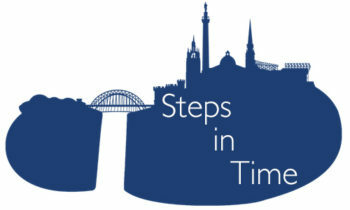 Steps in Time is a free mobile phone app to guide you on a poem-walk across Newcastle upon Tyne and Gateshead. Sixteen regionally-based poets offer their responses to sixteen locations in the city to tell new stories and shine new light on its cultural and social history. The app was launched for Android and iOS in beta test form during the 2017 Newcastle Poetry Festival.